ADP Payroll Services Division has one of the best sales organizations in the world. Achieving 20% growth year over year in a very competitive arena was the stated objective of the division. 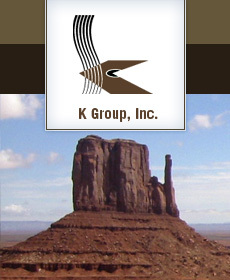 K Group was asked by the SVP of Sales to assist in the continual improvement of the sales organization as it doubled in size during the early 1990’s. From sales force productivity modeling to sales manager profiling to the most effective selling personalities to territory modeling, K Group consultants worked with the sales team to increase the capacity of the sales force to achieve uncommon levels of growth and productivity. In the 1980’s Marriott Hotel Division was rated number one or two (depending on how you chose to measure) in the full service hotel category. A new idea surfaced in the Hotel Division that a very lucrative category of business might exist that was under-served. The logic of this entirely new category went something like this: Many business travelers are turned off by the full service hotel. They don’t like the hotel room too much, they don’t like to pay the higher rates for all the ballroom space and big lobbies that they never use, and they want more of a personal experience that is centered on the room – a working room, as opposed to a sleeping room. Holiday Inn, their current first choice, is a “tired” concept with relatively poor service and bad locations. Thus, the concept was born – a new category of hotel – the business traveler hotel category (designed by business travelers). This new category was so different from the full service hotel category, that the fledgling Courtyard business unit was initially moved out of the main Marriott hotel headquarters building so that it could “build its own identity and values”. This is new business development at its finest. A new brand – Courtyard – loosely affiliated with Marriott (by Marriott) and the most successful new hotel brand (and new hotel category) introduced in the past 20 years. Passing a new law is difficult even when most legislators support the new law. Passing a new law that isn’t popular or perceived to be “important” by legislators is next to impossible. Such was the case with Shoka’s Law. The two principles of K Group lost a young Siberian Husky pup to a myriad of diseases that could have been prevented had the pet store he was purchased from provided basic veterinary care and humane living conditions. His life ended after a short six months. To the owners amazement there were no laws on the books in Arizona (or most states for that manner) to protect puppies or their new owners from uncaring pet stores. Selling unvaccinated pups that had been “stored” in less-than-humane conditions for the first few weeks of their lives was “just part of the pet store business”. To give meaning to Shoka’s short life, Lisa Shover of K Group vowed that this should never happen again and that pet stores should be accountable. She contacted a respected lobbyist to determine how a “traditional” lobbyist would approach this situation. The first words out of his mouth were: “Not this year… maybe never”. This team of dedicated advisors wrote editorials, accepted faxes supporting passage of a law controlling pet stores (14.000 faxes in two weeks), shuttled the bill though legislative committees, got local pet owners to jam the telephones at the state offices (due to the volume of their calls) as they registered their support for the bill, implemented “calling trees” with leading organizations to support the lobby effort and asked their friends and business associates to do the same, and generally created an unstoppable ground swell of support for Shoka’s Law. The law was passed into state law four months later. Thanks to one passionate individual, a strong word of mouth campaign and a well thought out strategy to accelerate a decision that “no one was interested in” Shoka’s life was not in vain.